The Order: 1886 is an upcoming video game for the year of 2015 and is scheduled to be released in the month of February in 2015. It is said to be developed exclusively for Play Station 4 gaming consoles. It is an action adventure video game set in medieval times and is presumed to be a single player, role playing game. 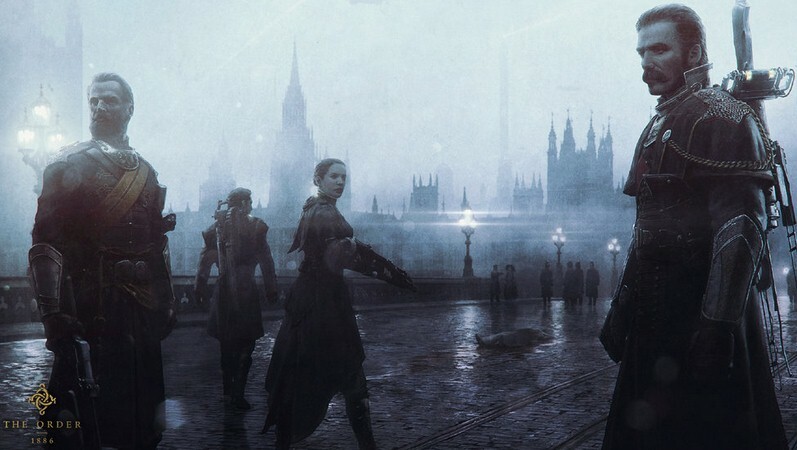 The game world of ‘The Order: 1886’ is set in medieval England, specifically in London, in an alternate history where monsters roam the realm and the old order and legacy of knights still exist. In this game’s world, the city of London is set in an alternate history where monsters still exist and terrorize the humans of this world. An old order of knights is all that exists to protect humans from these monsters. The story goes that, a few numbers of humans took up beast-like traits at around the seventh and eighth centuries. These bestial traits gave these human super powers and possibly some more violent proclivities that made the sheer humans around them fearful of them. It is said that these half breed monsters (that is, creatures having the combinations of both beast and human in their DNA) and normal humans clashed due to their differences and fears and war soon broke out. Who or what instigated the war though has yet to be revealed (that is, did the half breed beasts attack the humans first, or did the humans attack the monsters first out of fear). The humans were in the majority population and easily outnumbered these half breed monsters. However, due to the beast-like strength that the half breed powerful traits of this minority group, the monsters gained the upper hand in the battles and the war. And this imbalance in favor of the beast monsters lasted for centuries. Finally, centuries later, new hope came to the side of the humans in the form of an order of knights and future heroes. This order was known as King Arthur and the Knights of the Round Table. Unlike the previous battles before King Arthur and his knights, these knights took the offense instead of remaining on defense; that is, they took the battle to the monsters instead of waiting for them to attack merely to defend. However, it is still a losing battle from the side of the knights – or it is until, by a miraculous discovery of fate, the order of knights find Black Water. Black Water is a magical liquid that extends the gives the knights miraculous healing abilities in addition to extending their lifespans. But although this gave new hope and helped their cause, the half breeds were still too strong. And it wasn’t until the industrial revolution occurred in this world that the tide of battle actually changed. The inventors that brought forth the industrial revolution invented gadgets that allowed thermal imaging and wireless communication, weapons that shot electricity, and a host of other useful inventions that were quite ahead of their times. Finally, by 1886, the war is still ongoing. However, humans have tentative control and the balance of power between the groups is more even. In addition though, the lower classes have started rebelling against the higher classes and a new civil turmoil is underway. The knights of this world and this time are on the side of the social elites. The video game has four new characters as the heroes of this current world. These four follow in the legacy of King Arthur and His Knights. Each of these knights have a given name as well as an adopted name that was taken from one of the original knights of the order. The four characters by their given names are Sebastian Malory, Grayson, Isabeau D’Argyll, and Marquis de Lafayette.